Interested in writing genre fiction? Working on a detective novel? Trying to decide which character should tell what part of the story? In this installment of our on-going series of interviews with presenters from this year’s WordSpring Creative Writing Conference, Jeremiah Looney interviews novelist David Sundstrand. With WordSpring growing ever closer, I managed to chat with David Sundstrand regarding writing inspiration and the use of point of view in fiction. 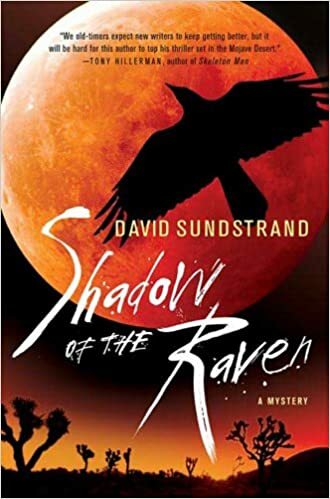 Sundstrand is the author of two Frank Flynn mystery novels, Shadow of the Raven (2007) and Shadows of Death (2009). Thanks to his years of experience in various occupations –longshoreman, railroad brakeman, soldier — Sundstrand has plenty to draw on in writing his stories. He combines these experiences with a passion for well-written stories that readers will enjoy. Jeremiah Looney (JL): What convinced you to start writing? 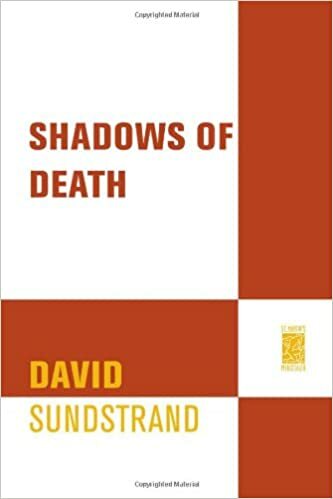 David Sundstrand (DS): I’ve met a lot of people who wanted to write, but none of them read. I think people who want to write should be readers. As a reviewer, I read some ghastly stories and thought I could do better. It turned out to be harder than I thought. (JL): What attracted you to the mystery genre? (DS): In one sense, the mystery novel has its genesis in Oedipus Rex, the king of Thebes. Oedipus is confronted with a public curse stemming from the murder of his father. Being a man of confidence and action he sets about to solve the mystery, only to discover that inadvertently he killed his father in a truly classical pattern of road rage. He relentlessly follows the clues and finds that he is at the source of his own tragedy. Mystery novels are, if nothing else, journeys of discovery, often of self-discovery. And there is this, mysteries/thrillers make for good reading. (JL): I had some fun reading through your novel Shadows of Death. What was your inspiration? (DS): I have taken journeys into Raymond Chandler’s world of 1940’s Los Angeles, Ross MacDonald’s tales of Southern California in the fifties and sixties, and re-explored the dark byways of modern Los Angeles in the works of master storyteller Michael Connelly. However, it was a side trip into Tony Hillerman’s Navajo country that proved inspirational. Now here I have to pause and thank the late Tony Hillerman, a man of generous heart, who read my first manuscript and liked it enough to send it on to his agent. If you haven’t read any of the Sergeant Jim Chee/Lieutenant Joe Leaphorn stories of the Navajo Tribal Police, you are in for a treat. I find his work particularly inspirational because it afforded the writer to explore the landscape and its relation to its inhabitants. That’s how I view my first two books, a wonderful opportunity to write about the beauty of the land, most particularly the Owens Valley and the eastern Sierra Nevada. (JL): In Shadows of Death, you were fairly active about switching character perspectives. How did you decide when to switch perspectives? (DS): Shifting point of view from one character to another can be tricky. I try and stick by the rule of keeping POV consistent throughout a scene. Sometimes a writer has to move from one character to another without employing some sort of clumsy device such as, “Meanwhile back at the ranch.” On the other hand, it frequently proves necessary to put down the thread of one plot line in order to pick up another, a tricky transition that requires practice. (JL): When would you decide that you have too many, or not enough, perspectives within a story? (DS): When to shift and how often to introduce new characters and thus plot lines is a matter of effective structure. The cardinal-rule is don’t lose your reader. When the reader stops turning the page, it’s over. Nothing in the writer’s creed puts it better than that famous line from Cool Hand Luke (at least famous to those of you of a certain age), “What we have here, is a failure to communicate.” In order for any story to be complete it needs three things: a skilled writer, a well told story, and an intelligent reader. If any of these prove inadequate, all is in vain. When you are reading a book and find yourself at sea, you might reflect on which part of the equation is proving inadequate. My first reading of Katherine Anne Porter’s Flowering Judas left me in the dark. Fortunately, I gave the story another few reads and came to discover that the work is profoundly moving and profoundly dark. Now arises a second problem as to whether a work is effective. Sometimes the reader doesn’t like what is being said, which has little to do with the quality of the writing, but let’s leave that for another day. (JL): How much have you relied on personal experience when writing your books? (DS): All writers draw on personal experience. I have spent a good part of my life in the desert. In Shadows of Death, I drew extensively on my experience in the military. Here’s the thing, the characters on the page are not created from whole cloth. Think of it this way. If a writer’s being were made of glass and dashed against a wall, he would pick up the shards and turn them into characters with which to tell a veiled story of personal perception. Finally, I must plead guilty to enjoying the hubris of it. It is, after all, your world. In the chaotic reality we call the human condition, it is often difficult perceive a pattern of justice. In your fictional world, you can reward the just, punish the wicked, and mock the foolish. Good stuff that! Just a friendly reminder that registration for WordSpring closes today, April 21, so if you want to attend Sunstrand’s “Point of View and Finding Your Voice“and “Mystery and Detective Fiction” workshops, go register now!